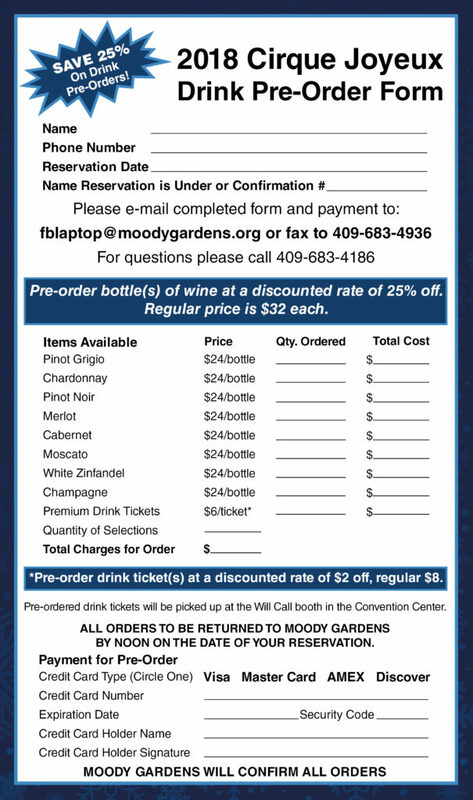 moodygardens1 – A fun, engaging and delicious way to spend the holidays! Pre-Order Drink Tickets and Save! The Dinner & Show includes tea, water and coffee. Matinees do not include any beverages or food, you can pre-order drinks and drink tickets for the Matinee. There will be cash bars open during dinner and the show, you can pre-order drink tickets and get a discount. Print this form and return it to us. © 2008 ~ 2018 Island Star Performances, Inc.